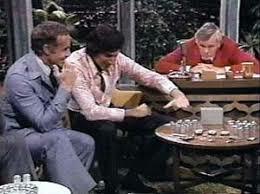 Exposing Uri Geller’s phony paranormal skills on a live broadcast of the Johnny Carson Show was just one of James Randi’s many achievements. With the exception of professional wrestling, which I’ve written a piece about, I find that magic is one of few experiences both adults and children can enjoy at equal levels. What I mean by equal is that an adult can be as captivated as a child, quite unlike the often asymmetrically unbalanced entertainment adults engage in, purely on behalf of their children: theme parks, Disney movies, and birthday parties. Similar to professional wrestling, we know deep down magic is not real, but that is the very point. Magic is a temporary and often needed escape from the rules and regimes we’ve been accustomed to; it’s as if you could temporarily break the laws of science. Magic allows our imaginations to flourish again. It’s why adults can also enjoy magic because it can reinvigorate an imagination that has most likely faded as one gets older. For some, there is an immense interest in figuring out how the magician crafted the trick. The Internet now makes it quite easy to dissect just about any magic trick, yet I’ve always felt less satisfied afterwards. I think most would prefer to simply enjoy the trick for what it is, and to allow the unexplained to happen. In this way magic is much like a movie where we forget we are watching actors and can immerse ourselves in the story. There is, however, a definitive line between those who consider themselves magicians and those who I’ll refer to as the pyscho-manipulative type, the latter being individuals who profess to be gurus, gods, or prophets. These phony psychics claim that they have special powers that make them superhuman. The best way I can draw the line is that these type of individuals consider themselves to be on a plane higher than a magician, mostly because they’ve been gifted with some supernatural powers that defy science. 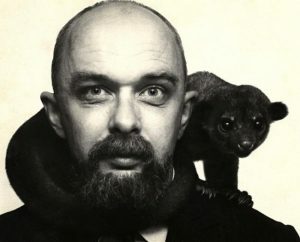 A young James Randi. Before exposing fraudulent psychics, Randi was a magician himself. James Randi, a former magician himself, deserves respect for his willingness to act as a referee by calling out these hucksters for what they are. You’ll notice that he leaves magicians alone, only focusing on the paranormal/psychic type I’ve described above. Fans of Mr. Randi have put together great compilations of the many “fails” that he’s exposed over the years. Unlike the over emotional, hyper reactive hysterics that we see nowadays, Randi remains a true professional at all times. He could have easily rubbed salt into the wound and it would be deserved, yet Randi simply allows the frauds to fall flatly on their face in the front of the audience. In my view it is even better this way. Aside from Uri Geller, who I’ll focus more on later, Randi successfully exposed James Hydrick, a so-called psychic who could turn phone book pages with his mind. On a side note, Hydrick’s ninja suite and 70s mustache make his live debunking quite memorable. Randi’s work led to the downfall of Peter Popoff, a televangelist from the 80s, who duped many of his followers by claiming he had direct contact to God. In fact, Randi proved that Peter had a hidden earpiece present during his performances. His wife would feed information to him that was provided on the registration cards of the participants, for example their home address. Popoff would then “channel” God (his wife on a walkie talkie) who would proceed to tell him the address or some other general information of the follower. By establishing credibility he would then claim to heal ailments and make predictions, and of course he needed plenty of donations to continue! Hats off to you Mr. Randi for exposing this creep. 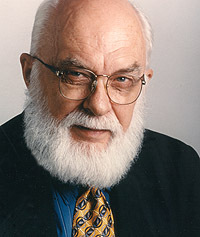 Mr. Randi has a long history of bringing the spreading the truth regarding other phony psychics. Searches online will show the manipulative tactics used by these pseudo-psyhics who would claim to be able to speak to the dead. In a more extreme example, one “medium” would often assist the police in solving crimes. This last example has absolutely nothing to do with magic, and we can easily see how a fragile ego can seriously disrupt lives of innocent people. The James Randi Education Foundation is the culmination of his many years of work and as of this writing a prize has yet to be awarded. Once again it is the most professional way of calling these phonies out on their BS. The prize is quite simple: prove you have paranormal powers and win $1 million. Randi famously claims that these “psychics” would be queuing up to claim the prize but as of yet nobody has won. Hats off to you sir. So why did I bother to write this piece, and highlight Mr. Randi? The answer is that we need someone like Mr. Randi to draw that fine line I’ll shortly describe between a magician and something else. Let’s consider a modern example, namely David Blaine and compare him to Uri Geller, someone who dabbles a bit in both. Given the amount of technology available to us, standards have truly gone up for magicians. There is no doubt that the key and spoon bending trick that Ur Geller used in the 70s to captivate audiences would be quickly called out on social media in 2018. Getting to my point, David Blaine portrays himself as a magician, performs his tricks, and has quite a following for this reason. I would classify him as an entertainer. Geller, on the other hand, proclaims to be something different. To take this a step further, let’s see how each describe themselves on their websites. Blaine’s biography covers his life as a magician and even mentions that one of his stunts was used by scientists for research. This is a very important point, namely that Blaine doesn’t claim to be above science, in fact he helped contribute to it. He first became aware of his unusual powers when he was five. One day, during a meal, his spoon curled up in his hand and broke, although he had applied no physical pressure to it. His parents were somewhat shocked and Uri did not mention the incident to anyone else at that time. He developed these powers in school by demonstrating them to pupils. His mother thought he inherited them from Sigmund Freud. This small blurb explains it all. I am still flabbergasted that despite so much information available, Geller still highlights his spoon bending trick in his biography! Randi has shown time and time again how simple the spoon bending trick is to perform yet this act is the foundation of Geller’s success as a “paranormal.” If you have the stomach to read more of Geller’s bio, you’ll find it only gets worse as he goes on to brag about his supernormal abilities, vision, etc. It should really be classified as fiction since that is what we are talking about here. Getting back to David Blaine, you’ll never see any reference to the paranormal on his website or on the Internet for that matter. Blaine has performed amazing feats in his career but not once does he elevate himself to grandiosity. I’d say, he is far more amazing for the fact that he is human. Unlike Geller, who resorts to simple parlor tricks that have been around for ages, Blaine has pushed the envelope for magicians, setting a far, far higher bar for others to follow. When you compare the two, it is easy to see who has made a larger contribution to magic. James Randi took alot of heat for exposing Geller who filed several law suits against him, making it clear that Geller’s paranormal and psycho powers weren’t helpful in court as they neither failed to alert him of Randi nor were able to assist him in all of the cases he lost! The biggest shock of the Randi – Geller affair is that his cringeworthy blunder on live television didn’t hurt his stardom as one would think. I feel he was saved by the lack of technology and communication tools available in the 70s; it appears he’d be quickly ruined, were this 2018. After the Carson show Geller continued to rise to success and still has a following to this day. I’ll give Uri Geller a very small bit of recongnition for donating some of his money to charity, although it’s a drop in the bucket compared to the fortune he’s made. This leads to the sad conclusion of exposing these modern day snake oil salesman, namely that despite all efforts to combat these hucksters, there will always willing victims. It explains why despite being exposed, Geller continues to have a following, that you will still see fortune teller storefronts (trust me people do go to them otherwise they would find another line of work). The fact you see a series like Ghosthunters still being produced or witness successful movies like the Blair Witch Project shows that despite having access to all the information in the world at the touch of our fingertips, there are still those who fall for this stuff, or in the words of the famous P.T. Barnum, a sucker is born every day. In spite of this, Mr. Randi has proven that in the never ending battle between good and evil, someone will always rise to the challenge. Thank you Mr. Randi, for your work and efforts. Footnote: I’ve learned that Mr. Randi has retired, which has thereby ended the challenge although it will continue in a different format. I feel this shouldn’t take away from the spirit of his foundation as no prize was ever claimed during the time it was offered, nor would be in the future had the challenge continued. If one carefully reviews Randi’s work, he’s exposed just about every trick in the book.